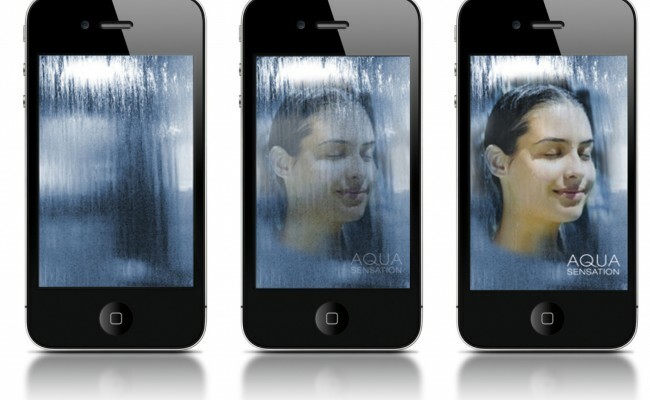 App allowing target to interact with splashing water curtain. The waterfall reacts upon touching the screen (open/close curtain, changing the water flow, making drops, ...) Sound of waterfall is also the ringtone. 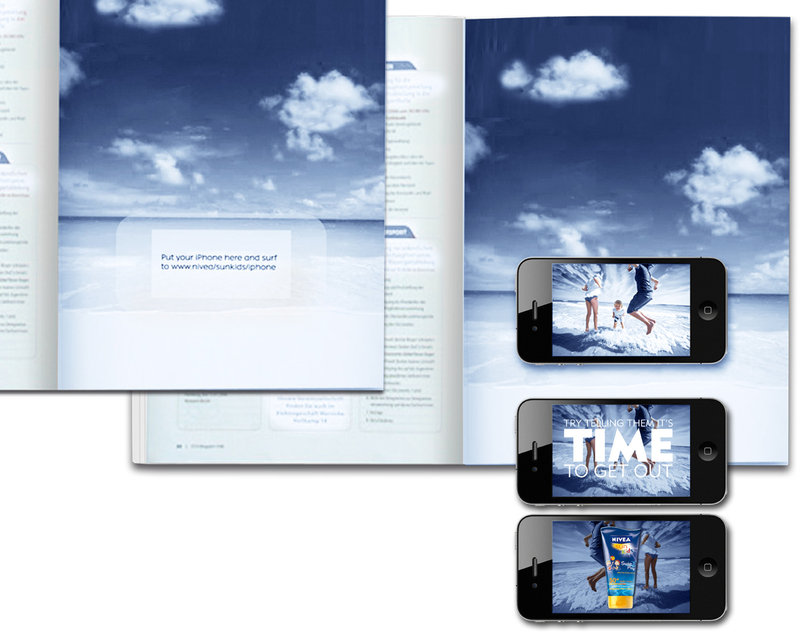 A Nivea moment is brought to life in a magazine. Literally. The page becomes background for our ‘motion picture’. The viewer types a web address into their phone browser and places the phone on top of the page. 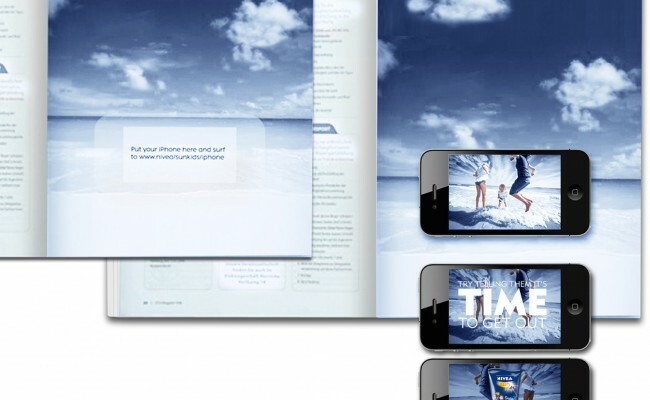 A film plays on the screen as the page becomes background for an engaging and memorable way to experience an augmented Nivea moment. A must have when visiting a sunny country! 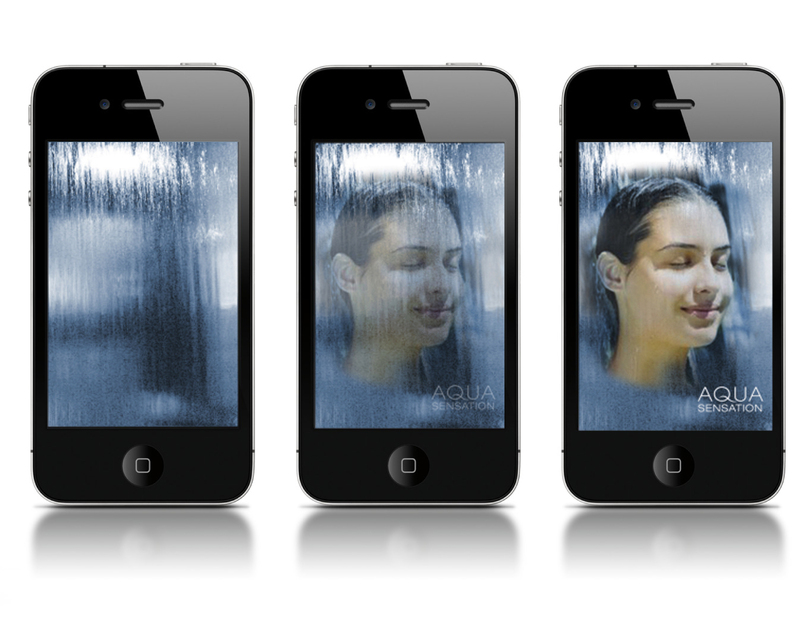 Rolling over an Aqua Sensation Banner creates a water curtain across the page. 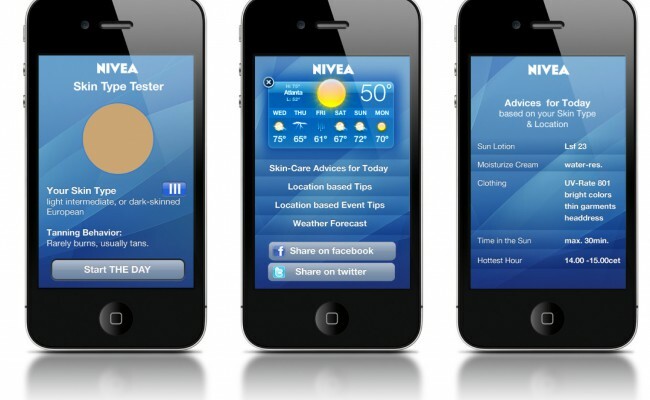 A click on the banner leads to the Nivea website where consumers can get detailed information on product range, benefits and technology. Photographers capture people hugging at the airport. 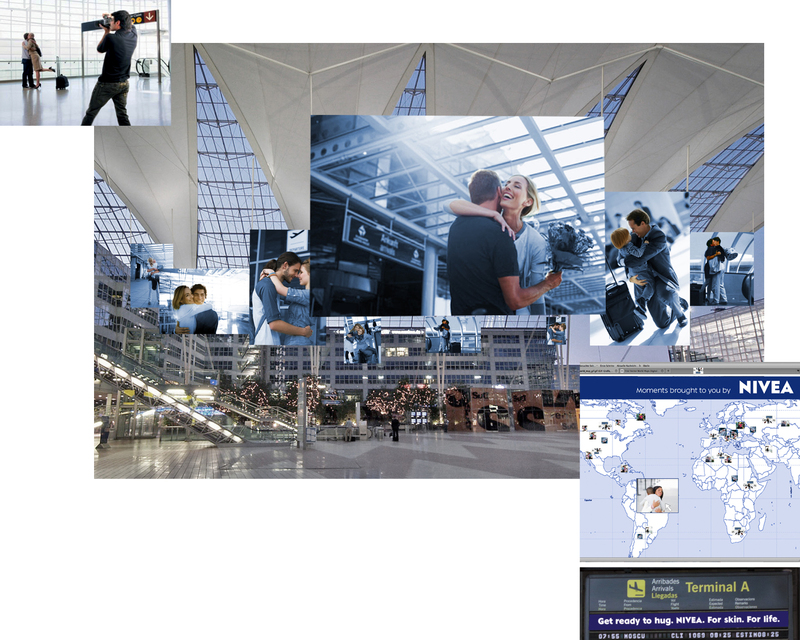 These moments are displayed in a photo exhibit at the arrival and departure area. 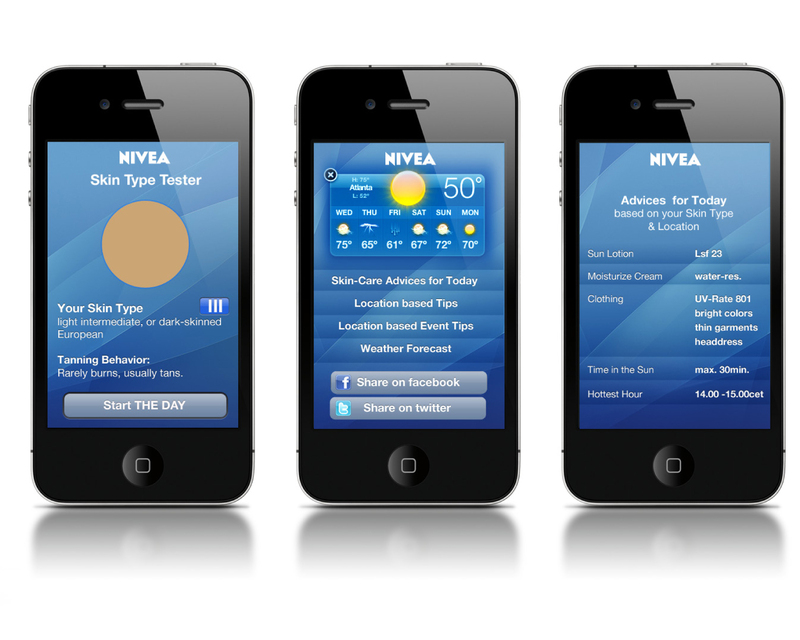 Product sampling is offered to help maintain Nivea skin during flights. These moments are shared among friends and families all over the world through social media.